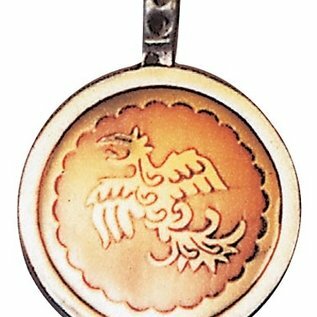 This Chinese magical seal of the Phoenix traditionally attracts an untroubled life. Wear it to attract Peace and Enlightenment. 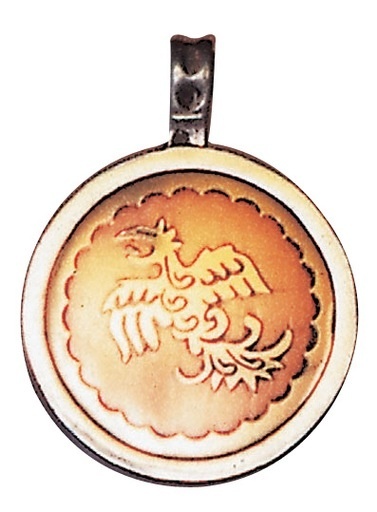 This pendant is approximately 1" in diameter, ⅛" thick.